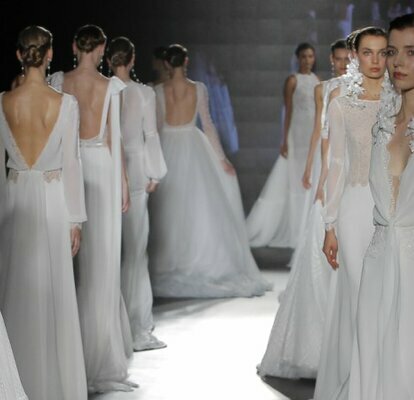 Rosa Clará’s new collection was showcased at Barcelona Bridal Fashion Week to the most dedicated bridal experts and fans, in a location that blew us all away. The latest collection, which is characterised by it’s delicate and sophisticated designs, was nothing less than what expected from one of the best designers in the bridal fashion sector. Take a look through the gallery and see for yourself! 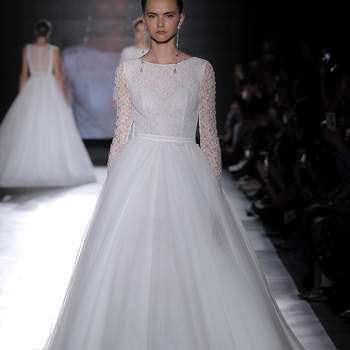 Of the many different styles in the collection, we can see that the designer was influenced by romanticism and elegance. The exquisitely detailed dresses, composed of light fabrics, such as silk, gauze and tulle all add a certain depth and movement to the designs. In turn, the designs appear minimal but are created with such detail, brides are guaranteed to feel amazing wearing one of them on their special day. Mixing different elements is one of the novelties on the brand. In this collection Rosa Clará has reinvented her own, opting for sensual designs, subtle transparencies, garments with leg openings and lingerie in some cases. 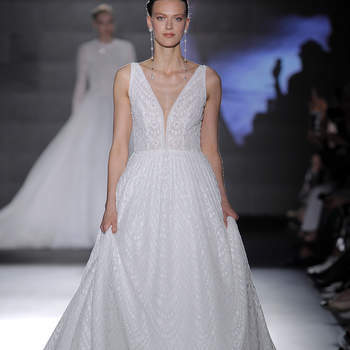 This collection is certainly one that oozes a young and contemporary spirit, perfect for the brides of 2019. The new collection of wedding dresses by Rosa Clará for 2019 is for elegant and sophisticated brides. If you are looking for the latest trends and top designs, you have come to the right place. See all the designs for yourself in this gallery and let us know your favorites! Vintage Style Wedding Dresses 2018: Relive The Essence of Romance!